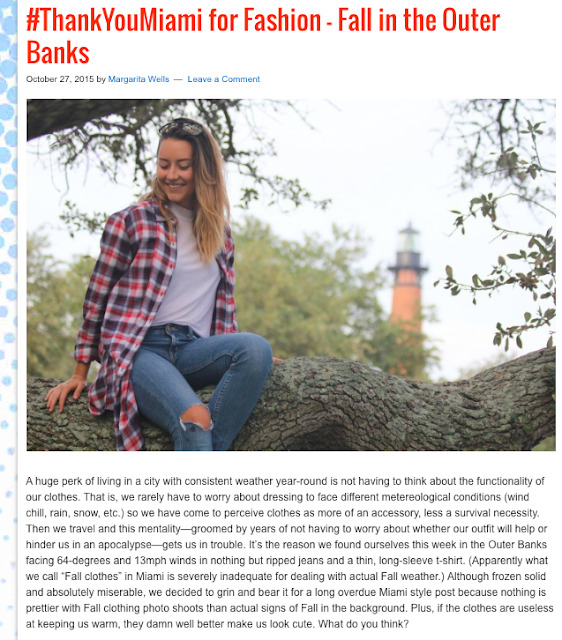 Today we're bringing you a triple-threat post where in we give you a sneak peek to our Outer Banks travel diary; we bring back Miami style content to our #ThankYouMiami for Fashion column; and, we talk about how challenging it is to pack for cooler climes when you're not used to factoring weather when getting dressed. Read the excerpt below and click on the photo for the full feature. How are you transitioning into Fall fashion? What are your tips for packing when you're traveling to colder destinations? Leave a comment below or send us a tweet @ThankYouMiami!